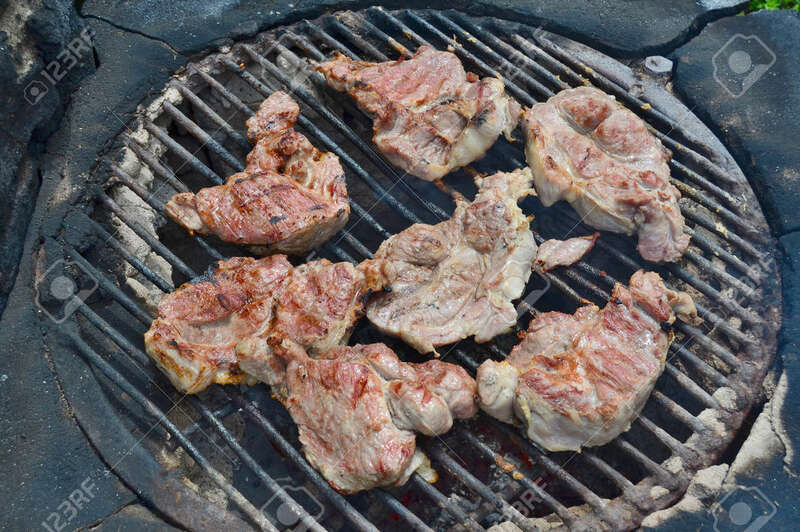 Meat Grilled On An Outdoor Grill . South Bohemia Royalty Free Fotografie A Reklamní Fotografie. Image 103549286.